We've addressed many of the common inquiries in this section, but if you have a question that isn't answered here, call 1-888-474-8425 and we will be happy to assist you. A. Yes! GSI brand vials have been successfully tested by accredited independent testing firms to comply with the Consumer Product Safety Commission’s Poison Prevention Packaging Act requirements for child resistance and senior friendly use. Our vials also meet and exceed the U.S. Pharmacopeia guidelines for UV light resistance and moisture tightness. Please see our Safety Certificates for more details. Q: When I order several items why do they sometimes come on separate days? A: We try to avoid split shipments; however, if we do not have all of the product requested at the warehouse nearest you, we will ship the balance of your order from another warehouse. We have (4) warehouses across the country that stock different product that Gold Star International manufactures or stocks. Q: Do you deliver to a home/residential address? A: No. FedEx Ground shipping service is exclusively for business/commercial delivery. You can pick up your package at select Walgreens/FedEx Onsite locations or your local FedEx office store. Please call to arrange for Walgreens/FedEx Office delivery. Q: What will shipping cost me? 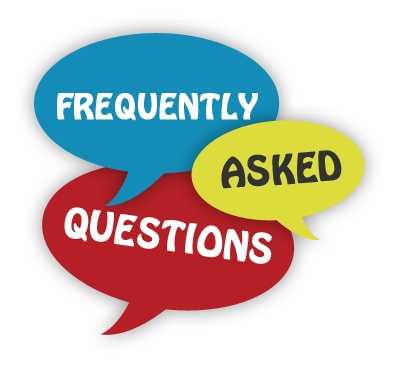 A: We have 4 different locations and we will ship from whichever warehouse accommodates your needs. We ship standard FedEx ground to a continental US commercial delivery address and the shipping cost varies by state (e.g.) for most items only between $2.00 to $3.00/case. Shipping for Rx bags based on weight. A: We go out of our way to serve your needs. We are available Monday – Friday. Q: "What payment types do you accept?" A: We accept AmEx, Discover, MasterCard and Visa at the time of order. If you would like to establish an account with NET30 credit terms, just give us a call, and we will set it up for you. A: Please take a look at our Shipping & Returns section for answers to these and any questions related to shipping or returns. Quality Assurance and Guarantee is our promise. Long-term relationships are more important than short term gains. A: The process is simple. Click on the “My Account” section towards the top right-hand of the page. Under New Customers click CREATE ACCOUNT. A: Yes. All new or existing customers must register if they have never ordered on our website. A: Yes, simply log into your account. Navigate to the “track your recent orders” section. You can view details of recent orders and you can duplicate a recent order (reorder). Q: What can I do if I Forget my Password or Locked my Account? A: Click on the "Forgot your Password?" link right below the Username/Password boxes of the Online Store Manager login page. You'll be given the option of typing in your username and a CAPTCHA verification. Enter the text that is displayed on the CAPTCHA picture and click on "Request Password." This will send a message with a unique "reset password" link to the email address that was specified for your username when you originally logged into the Online Store Manager. When you receive this message, follow the URL provided in it and you will be prompted to update your password - after which you will be logged into your account. A: Your email address is required for the registration process. After you place your order, an order confirmation will be emailed to you. Once your order ships, you will receive a shipment confirmation as well. Other than that, you may receive important updates about our company or products. We will never sell or share your email address to any third party without your permission, and we will never inundate you with advertisements, sales emails, and the like.